Description: Interior view of Dairy Queen ice cream store. 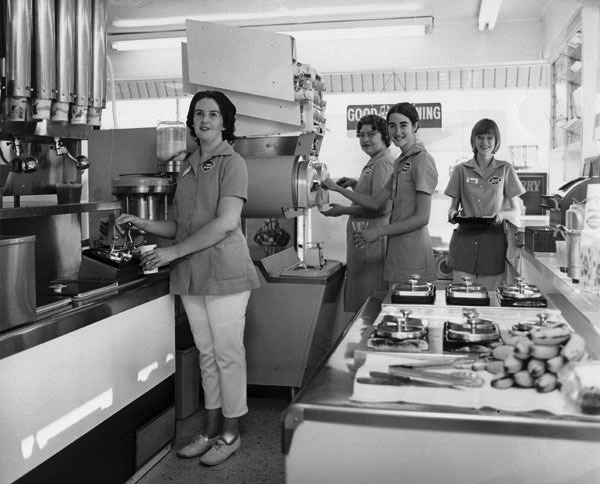 Four women employees are preparing customer orders. Business owned by Marguerite Nicolay from 1954 until it closed in December of 1996. 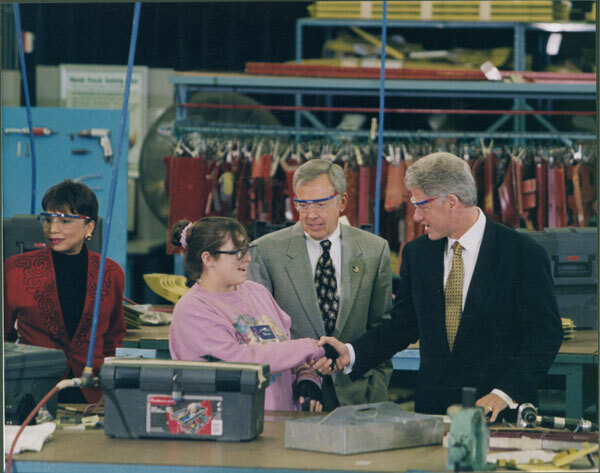 Keywords: Wichita, business and industry, people, employment. 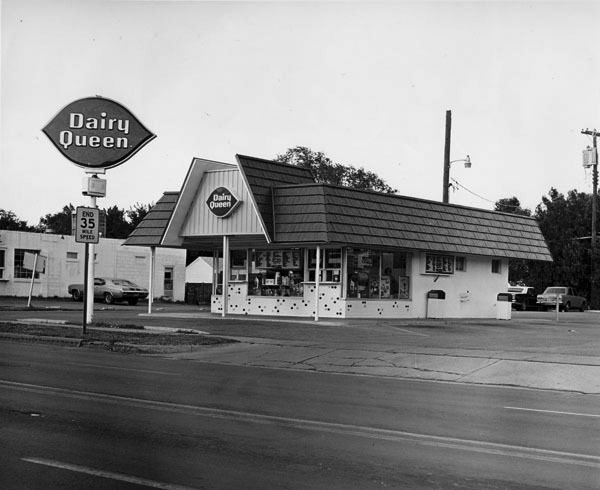 Description: Exterior view of Dairy Queen ice cream store. Business owned by Marguerite Nicolay from 1954 until it closed in December of 1996. During the last 2 days that the store was opened she donated all of the proceeds to the Maude Carpenter Children's Center. Description: Wichita artist Blackbear Bosin poses in his studio. 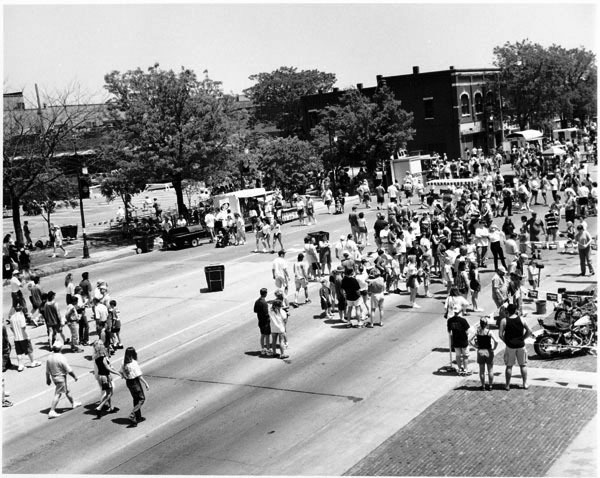 Description: Street scene showing annual Chili Cook-off in 600 block of East Douglas Avenue. View looking west. 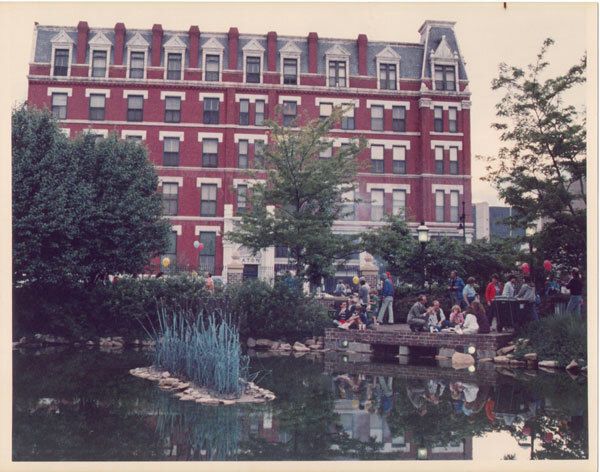 Eaton Hotel, Kress building and Broadview Hotel in background. Keywords: Wichita, public events, street scenes, arts and entertainment, people, architecture. Description: Wichitans stroll along the 700 and 800 blocks of East Douglas Avenue at the Old Town Block Party, one of the Wichita River Festival events held each May. View from Douglas Avenue railroad overpass looking northeast. 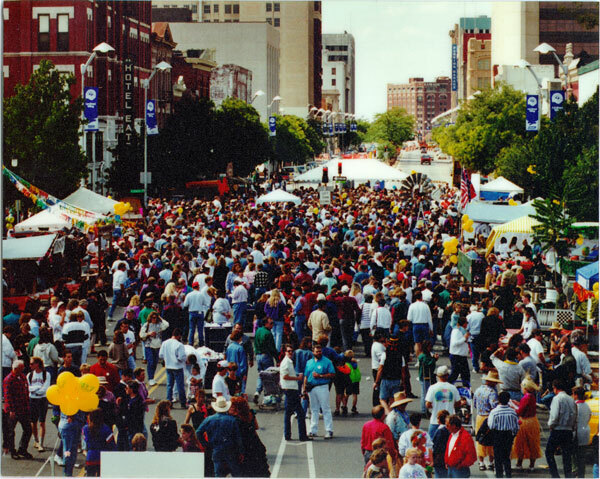 Keywords: Wichita, public events, people, street scenes, arts and entertainment.